The Atlantic Hurricane Season, as outlined by NOAA (the National Oceanic and Atmospheric Administration), runs from June 1-November 30 each year and details the six months out of the year when hurricanes are most likely to form. It’s the time of year where national agencies, state governments and local organizations take preparation seriously. 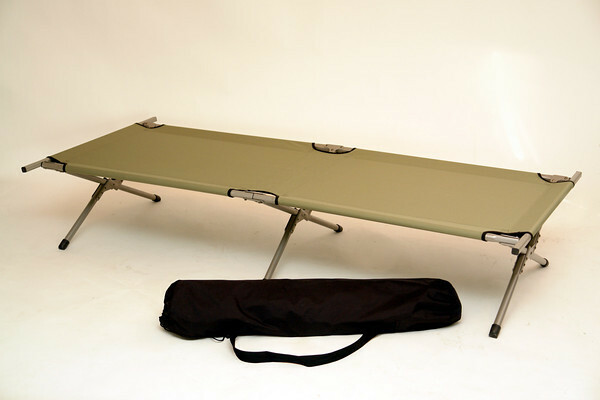 After more than 130 years of supplying folding cots and supplies for all sorts of relief efforts — from Hurricane Ike in 2008 to earthquakes in Pakistan in 2005, among many others — we have a line of cots that are ready for every emergency scenario. We’ve been here from the beginning of the American Red Cross right through Hurricane Sandy, and we’ve lent helping hands wherever they’ve been needed. Whether you’re a small, local relief chapter in need of only a few cots or a large national agency needing tens of thousands of cots in a matter of days, our experience and our craftsmanship will guide you through the entire process — from selecting the right model, ordering it swiftly, on-time delivery and setup. It’s never too early to prepare for what you will need should disaster strike. The Maine Military Cot — our strongest and largest canvas folding cot — is the standard bearer in the field. Not only will it support a working weight capacity of 375 pounds thanks to its 1 1/4-inch square aircraft aluminum tubing, the Maine Military Cot has the flexibility to add a number of features for any scenario. With available backrests and IV poles, the Maine Military easily configures to meet ADA requirements for bariatric and special needs patients. Reinforced with an additional steel inner tube for maximum strength, this 18-inch high cot has a multi-pocket gear pouch has lots of storage room and makes this heavy-duty cot capable of handling any expectation. Sometimes, simple is best — and for that, there’s the EasyCot. 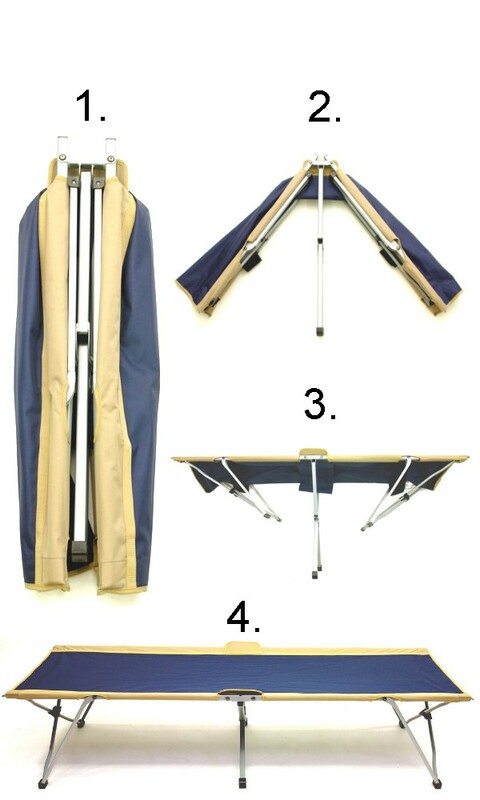 It’s all-in-one design is ideal for temporary shelters, where you can’t afford to lose spare parts and pieces when things are set up and broken down in a hurry. Because the EasyCot takes less than 30 seconds to go from its storage bag to complete setup, it’s ideal for anyplace that needs cots quickly. It’s also perfect for the elderly or any volunteers who lack upper-body strength usually associated with getting end rails into place. Its steel-frame construction supports more than 300 pounds, while its lack of end rails also makes it a comfortable option for tall people. For some organizations — from small, local outfits with limited resources to large federal organizations handling mass-relief efforts — there are other options where cost-efficiency is a must. The DuraSteel Cot is the answer to that quandary, a strong, value-priced cot. 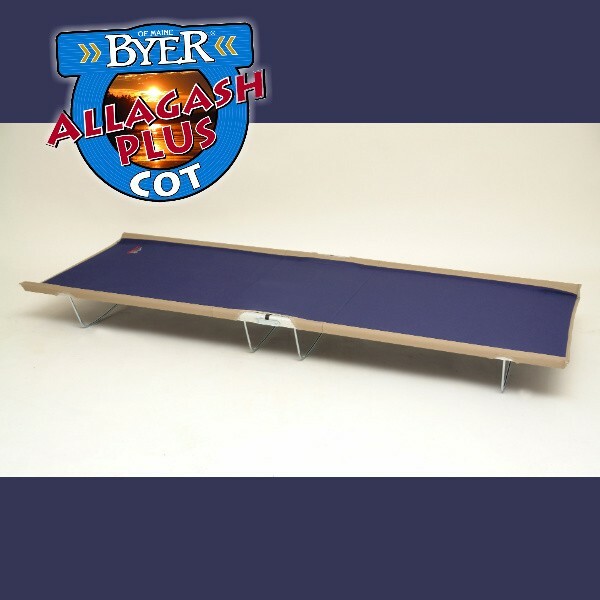 Price lower than any of our “standard-sized” cots, it possesses all the necessary ingredients for making a strong, durable cot — double-wall steel legs, a wide stance, and full support of up to 275 pounds. At 14-inches tall, it is the perfect blend of size and durability, with enough room underneath for out-of-sight storage of personal items. 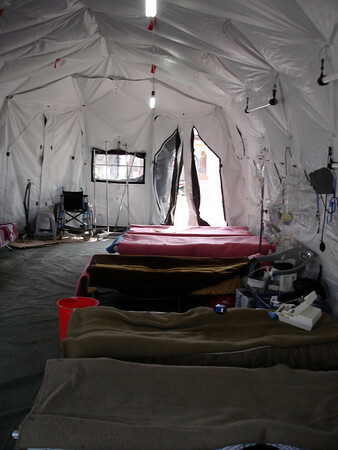 It’s little wonder that it is among our most popular models in emergency and relief efforts. Sometimes, space is the ultimate of concerns. Especially when it comes to mobile shelters, floor and storage space are both at a premium, and it’s where the Allagash PLUS Cot is at its best. Less than three inches wide and seven inches tall when it’s completely folded and stored, it’s a strong cot that unfolds into a generously roomy cot that’s 30 inches wide and nearly six and a half feet long. Just eight inches tall, it’s a perfect fit in tight spaces. All of our cots are a long-term investment. Whether they are torn, damaged or missing pieces after use, we can repair and replace damaged or lost parts. It’s what sets us apart from the competition — when you need us most, we’re still here to help. This entry was posted in Cots, Disaster Relief, Emergency Preparedness, History and tagged Byer, Byer of Maine, cots, Disaster Relief, Emergency Preparedness, folding cots, Hurricane Relief by beckybyer. Bookmark the permalink.